In a provocative article concerning free will (The Atlantic, June 2016), British philosopher Stephen Cave alarms readers with a discussion of the apparent damage that a belief in determinism—the idea that events are predetermined and completely defy any human notion of free will—would cause in our social systems. Fortunately, his commentary is based on erroneous materialist assumptions, rendering his alarming conclusions as unfounded. Cave opens by pointing out how “the sciences have grown steadily bolder in their claim that all human behavior can be explained through the clockwork laws of cause and effect,” which he claims is an extension of the 150 year-old intellectual revolution that began with Charles Darwin’s publication of On the Origin of Species. 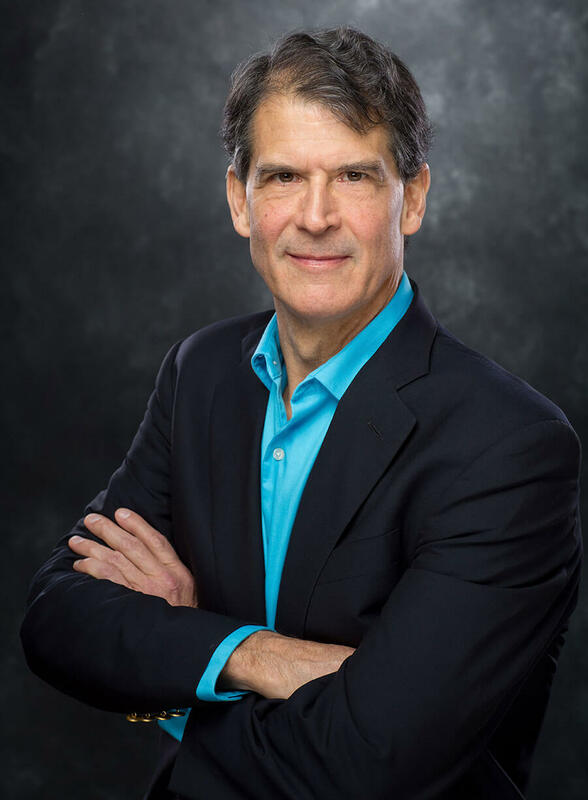 He then proceeds to discuss how the tools of modern neuroscience to investigate the workings of the brain have helped to resolve the nature-vs.-nurture debate, and specifically he illuminates how neural networks are shaped by the forces both of our genes and of our environment. He then steps off the cliff that has doomed so many such philosophers (and others, including neuroscientists) by stating that “…there is also agreement in the scientific community that the firing of neurons determines not just some or most but all of our thoughts, hopes, memories, and dreams.” He couldn’t be further from the truth – not only is there no such “agreement,” but in fact many thought leaders are actively rejecting the simplistic physicalist falsehood proposed by Cave. He could have then saved himself the trouble of pointing out the abhorrent consequences to our society of completely eradicating free will. As revealed by studies in the article, it is the belief in determinism that causes the societal issues. Propagating such a belief (as Cave does) actually contributes to this problem, especially when it flies in the face of the empirical evidence. 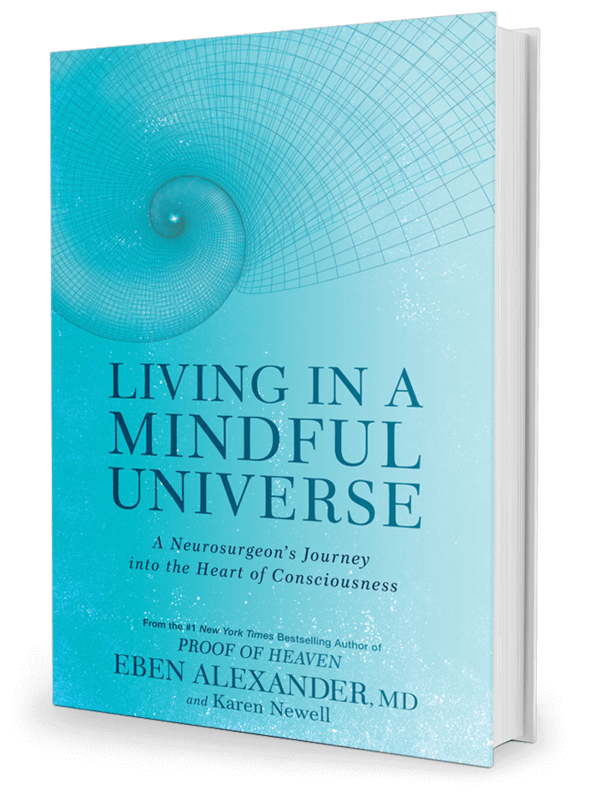 The emerging neuroscience of consciousness and related philosophy of mind suggest that consciousness is fundamental in the universe. The physical brain does not produce consciousness, so much as serve as a filter that allows primordial consciousness to trickle into our awareness in a very limited fashion, which is the “here-and-now” that we experience in normal waking reality. The more research performed on the brain itself, the more elusive is the phenomenon of consciousness. Dr. Wilder Penfield, one of the most renowned neurosurgeons of the 20th century, wrote a fascinating book in 1975 entitled The Mystery of the Mind. In it, based on many decades of electrically stimulating the brain in awake patients and based on all of his scientific work studying consciousness and the brain, he concluded the brain does not create consciousness or free will. Period. But the world was not ready to hear that in 1975. I believe the world is fully ready for that message now, although many adherents to scientific materialism remain willfully stuck in past theories by ignoring the overwhelming body of evidence supporting non-local consciousness (i.e., telepathy, precognition, psychokinesis, out-of-body experiences, remote viewing, near-death and shared-death experiences, past life memories in children indicative of reincarnation, etc.). The notion of a purely “clockwork,” deterministic universe (“objective physical reality”) should have died a natural death as the result of experiments in quantum mechanics began illuminating the fine structure of the material world more than a century ago — yet it still lingers on, with all of the damaging effects wrought by such false materialistic (and decidedly deterministic) thinking. The associated concept of atomism, which posits that all in the universe can be understood as consisting of the smallest possible material constituents that exist separately from one another, encourages a false definition of separation that leads to confusion and distortion when trying to approach the deeper truth. A more refined quantum view sees all in the universe as interconnected, as one. Quantum physics is the most proven theory in the history of science and strongly implies the holism of the universe (not atomism, or the false division of the universe into separate parts). The fundamental nature of primordial consciousness yields the best approach to understanding reality, to heed the deep lessons of the empirical quantum data. Fortunately, those lessons leave the possibility of true free will as absolutely real. The consciousness implied by the measurement problem in quantum mechanics is the “observer within,” the most primordial awareness of existence. By cultivating our sense of that observer self, we are able to transcend the simplistic automatic behavior purported by materialist philosophers as evidence of our lack of free will, and instead approach the full-bore capacity for manifestation implied by fundamental primordial consciousness, to truly actualize the world dreamed by our higher self—the ultimate expression of our free will. Karen Newell, co-founder of Sacred Acoustics, and I offer teaching sessions for groups around the world in accessing this deep observer state, and using it to manifest the world of our dreams — to manifest the free will of our higher soul. We invite you to participate in one of our upcoming Events. The evidence suggesting consciousness as fundamental in the universe is strengthening — the notion of free will remains alive and well in human endeavors. The sooner we assimilate this understanding into our modern worldview, the sooner we begin manifesting, through our free will, a world that lives up to the finest of human aspirations, unfettered by the bleak falsehoods of deterministic materialism. the more unconscious we are the closer we are in the grip of determination. An unconscious stone is all determined. The more conscious I am the closer I am to freedom. If I am total conscious (= enlightened) I am not only free- I become freedom itself. Freedom from all forms, freedom from all determination. Quantum physics has proven that consciousness is not an isolated phenomenon generated and contained within the brain. The thought experiment of Schrodinger’s Cat illustrates that at the submicroscopic quantum level reality exists in all possible states simultaneously until it comes in contant with a conscious observer, at which point those states all collapse down to one. In other words, science has proven that at the most fundamental level reality cannot take form in the absence of consciousness. Why most of the public, and scientists, remain unaware of this profound fact I don’t understand. I read the Atlantic article “There’s No Such Thing as Free Will.” I think that we do not need brilliant philosophers to solve the problem of whether or not Free Will exists. Many of them still haven’t worked out that there is a God. When my brother and I were much younger we were coming home from a movie one night. I heard awful screaming that sounded like a dog that had been hit by a car. I told my brother to turn down the next street because it sounded as though it was coming from there. My brother replied “No, let someone else do it.” I was shocked that he would do a thing like that and made him come with me to find the dog. It had a badly injured leg and was only about eight weeks old. I took it to the Veterinary Hospital. My brother and I both share the same genes. We were brought up as Christians by a strict mother who had a high standard of morals. My father died when I was twelve and my brother was eight. I had to leave the Catholic college because my mother could not afford the fees. My brother had a University education and became a Chemical Engineer my other brother is a Solicitor and I eventually became a Naturopath. We all know that our genes, upbringing and things that happen to us in life have an influence on us. But when it comes to making YES or NO decisions it is our Free Will. I adopted the dog that was run down. Although his leg did not grow properly he did not let it beat him. He got around with a limp and even ran. His name was Soldier he lived for twelve years and had a happy life and he was very much loved. Recently I did a couple of Continuing Education courses in Philosophy given by University lecturers. One of the lecturers told the class I was in that he was giving another course called “Philosophy – Mind, Body, Life and Death”. So I brought in a copy of your book “Proof of Heaven” and asked him had he read it because I thought it would be of interest to him especially as he was giving the above course. He had not read it. So I then explained to him and the class your NDE. How you had bacterial meningitis and how the experience could not have come from your brain. He said “I have read books about NDEs.” I said, “But, he is a neurosurgeon and he explains his experience scientifically”. Later in the lectures he was discussing Hinduism and rebirth and one of the men in the class said, “If there is reincarnation how is it that more and more people are being born?” Our Philosophy lecturer did not answer his question either and the man did not come to any more classes. The other Philosophy course lecturer was a woman who read the lectures off a piece of paper and did not even try to explain anything. She had no original thoughts of her own. She swore a lot and the only subject she was interested in was that women should be running the world. I said, ”What about Eve ? Did she not conspire with the devil and lead Adam astray. Is it not because of Eve that we are all still suffering? These philosophers had closed minds and have little in common with the great philosophers like Socrates, Plato and Aristotle. I disagree with Stephen Cave’s theory that there is no such thing as Free Will. I’m with you as a believer in “consciousness as the fundamental essence”. However, in our discussions, we must incorporate the experimental evidence where brain MRIs show that decisions are made before the person is consciously aware of having made his decision. Superficially, that evidence would argue in favor of Determinism. But more nuanced theory supports consciousness as supreme. Thank you for sharing your experiences. You are making a real constructive difference in the lives of many people. Thank you and thank you again. I have said the same thing to Robert Monroe ,Thomas Campbell (My Big Toe)…and Dennis Mennerich… So you are in great company! Scientists today and for quite a while, have still been on the old negative treadmill of resisting old worn out non productive(primarily religious) belief systems. Their scientific hearts where in the right place and yet they cannot explain the source of the primordial atom or metaphysics. The Comments made above by Richard THORNES is right on the money…my words would be that science has thrown out the baby(consciousness) with the bath water. This area of study is quickly approaching mainstream consciousness and is an idea who’s time has come. Thank you for this article. As a Psych Major and as I listen to Psychologist that revealed in Cave’s article, this was so important as a response. Really appreciate your clear and succinct response to the argument of the brain as an adaptive computer. However, I wonder, based on your personal experience, whether you can appreciate why some are so resistant to the idea of non-local consciousness. Your thinking underscores what I have concluded after 40 years of doing psychotherapy, that our culture, with its materialistic determinism, especially in psychology, has failed in reaching the most relevant aspects of our existence. As long as we purport that our consciousness ceases with death, we cannot find true happiness and peace–no matter how much “mindfulness” we put into our days–and no matter how hard we attempt to “change our negative beliefs, to then change negative feelings”, etc. Perception is primary, and if we perceive hope for the possibility of a continuity of consciousness from this life, on to new adventures afterward, then we can deal with anxiety, which ultimately stems from our awareness of our physical vulnerability. This article is beyond my comprehension. I barely got through your book! Dead on article. Not bad for a former neurosurgeon!! Hi Dr. Alexander. You’re absolutely right. It’s incredible that the scientific community has been so slow in accepting scientific research that supports the notion that consciousness is independent of the physical brain. I think you and your audience would enjoy reading my book The ‘Purpose: Your Soul’s Emotional Journey. Learning how to experience life through a different lens.’ (I reference your book in the Prologue). Thank you for your good work in spreading the word.